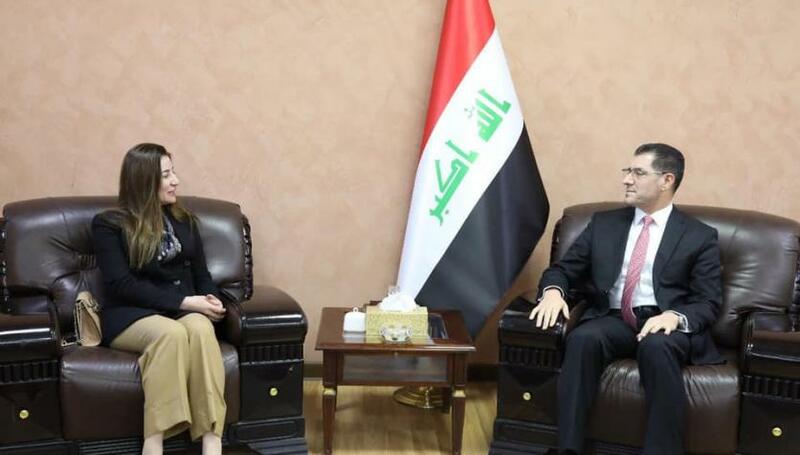 The Minister of Planning, Dr. Nouri Sabah al-Dulaimi, received on Tuesday at the Ministry's office Mrs. Fayan al-Dakhil, former deputy of the Yazidi component in the Iraqi Council of Representatives. The meeting discussed strategic plans for rehabilitating the liberated areas in general and the areas of the Yazidi component in particular. During the meeting, Dr. Nouri al-Dulaimi highlighted the ministry's vision of restoring the stability of the liberated areas, rehabilitating the displaced and compensating them for the suffering they suffered during the days of displacement, stressing the importance of the legislative authority's contribution to this vital file. in that. For her part, Mrs. Vian Dakhil expressed her high appreciation for the efforts of the Minister and his directives to include the Yazidi component with attention and care, stressing that this approach will achieve stability and restore community peace in colorful areas and ensure a decent life for its children.